Seventy-year-old Percy Darling is settling happily into retirement: reading novels, watching old movies, and swimming naked in his pond. But his routines are disrupted when he is persuaded to let a locally beloved preschool take over his barn. As Percy sees his rural refuge overrun by children, parents, and teachers, he must reexamine the solitary life he has made in the three decades since the sudden death of his wife. 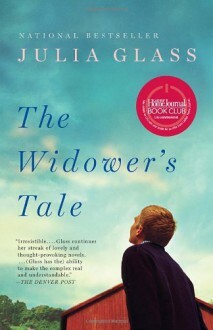 With equal parts affection and humor, Julia Glass spins a captivating tale about a man who can no longer remain aloof from his community, his two grown daughters, or—to his great shock—the precarious joy of falling in love. Wonderful characters, both major and minor.